Chromatin immunoprecipitation followed by massively parallel sequencing (ChIP-seq) is a new technology to map protein–DNA interactions in a genome. 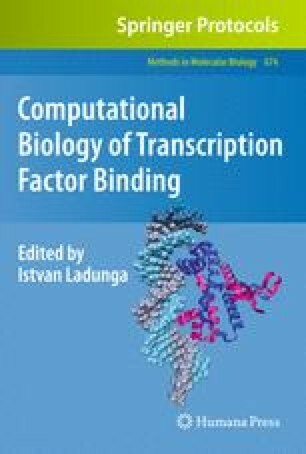 The genome-wide transcription factor binding site and chromatin modification data produced by ChIP-seq provide invaluable information for studying gene regulation. This chapter reviews basic characteristics of ChIP-seq data and introduces a computational procedure to identify protein–DNA interactions from ChIP-seq experiments.